Guest commuter Don Pillsbury joins us again – if you’d like to share your bike commuter experiences, please contact us at wwbikeped@gmail.com. Most people assume as a bike commuter I’m some sort of “eco-warrior.” While there might be some merit to that, my reason for riding is much more personal. 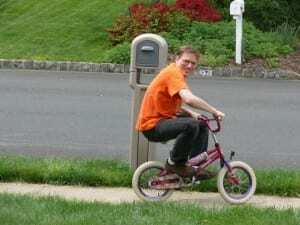 When I first started cycling to work 16 years ago, the original intent was to build activity into my otherwise sedentary life. My very first trip to work was just a couple of miles – and it took me exactly 1 hour. I drove to a park near the office, pulled the bike out of the car, left the car behind for the day, and pedaled a very short distance. Over time, and as the park commission improved the conditions of the D&R Canal tow path, I was able to eventually do the full 35 miles from Trenton to New Brunswick. For the round trip I developed the habit of driving to work (with the bike), leaving the car there overnight (the building had security), riding home, and cycling in the next day – after a restful night of sleep. Please welcome back guest commuter Don Pillsbury – if you’d like to share your commuting experiences, please email us at wwbikeped@gmail.com. I have to admit, some cyclists hold a lofty self-image of their noble pursuit to reduce their carbon footprint. 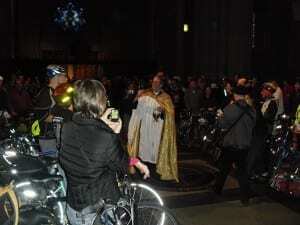 But could cycling ever be a religious experience? Spurred by a challenge from a friend, two years ago for Lent I “gave up my car.” Truth be told, I was not “car-free” but I did make a concerted effort to rely more on the bike and less on the auto. 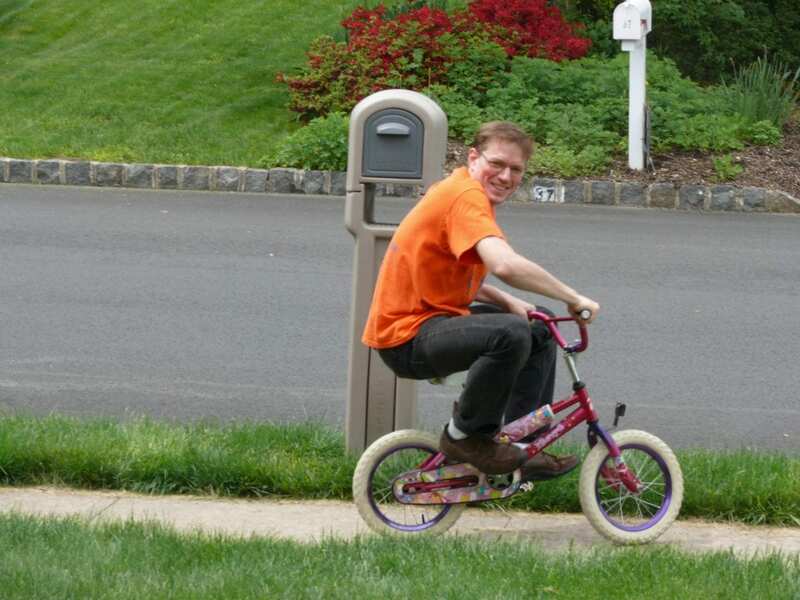 Before hopping in the car to run an errand I developed the habit of evaluating whether the bike could be used. As a result I rode in conditions I would normally avoid. At the end of the 46 day period I pedaled 700 miles. In the spirit of Lent, the cost savings of almost $200 were donated to a disaster relief charity. But more than the financial benefits, the experience was priceless. Time spent in the saddle had an increased focus on my faith and what it means to me. Would you believe me if I said it was a very moving experience? 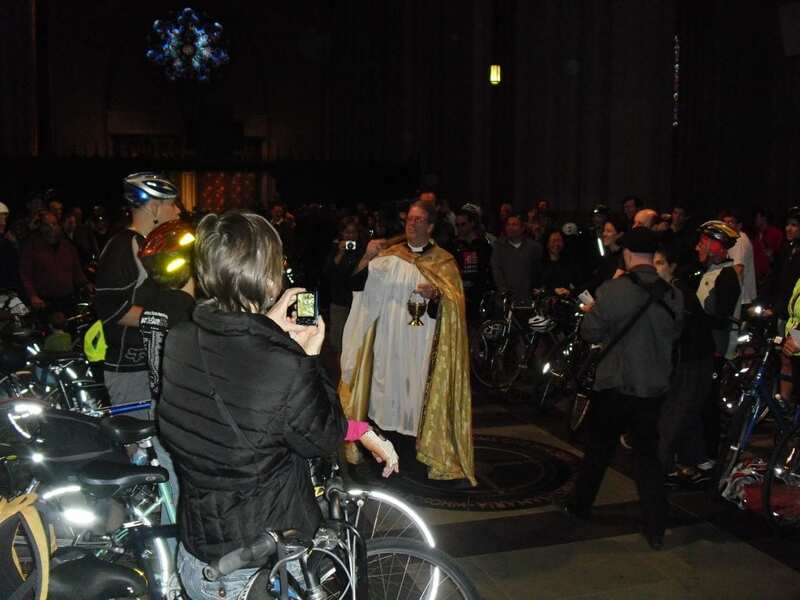 Photo from “Blessing of the Bikes” at St John the Divine in NYC on April 30, 2011.